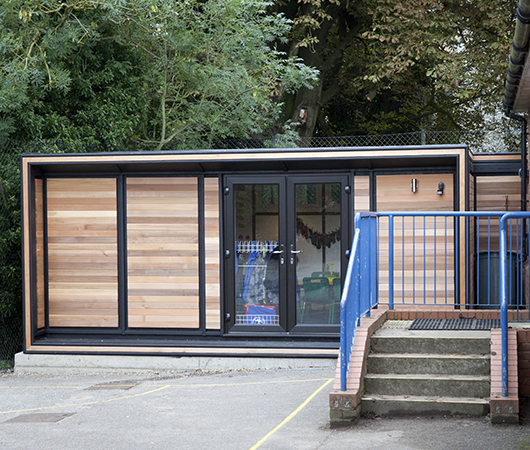 This primary school in Suffolk was looking for a contemporary learning space with a difference; a space in which they could bring the outside in and their pupils could thrive in a different learning environment. 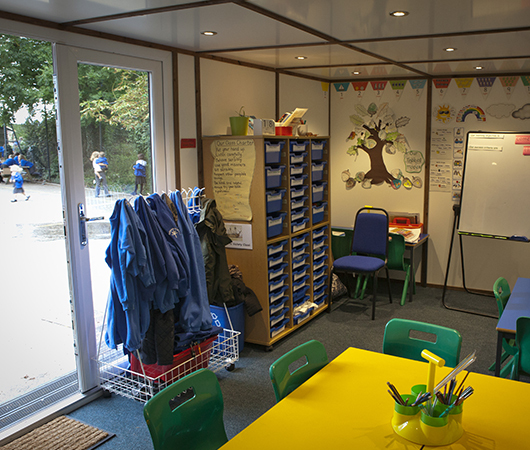 The Quarto Ultra provides a spacious 5.3m x 3.2m internal space and with unlimited floor-to-ceiling double glazing, the specification of this additional learning space with double doors and plenty of eye-level windows at the rear has enabled the school pupils to enjoy plenty of natural light. 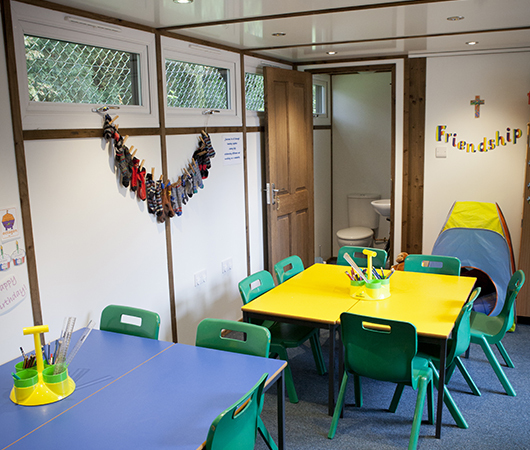 The room is fully insulated throughout, ensuring that the children are comfortable in an engineered building all year round. 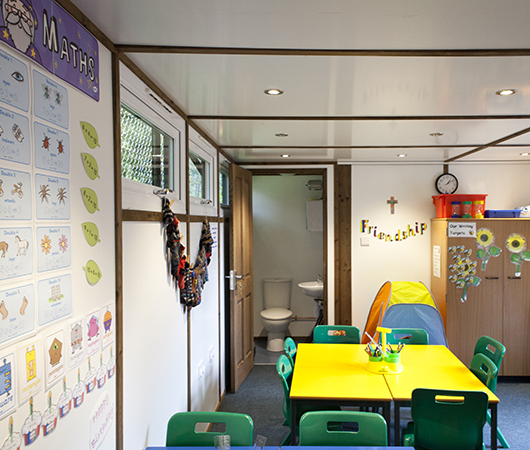 The melamine coated internal walls are easy to keep clean and just as versatile as a wall display space for the childrens artwork too! 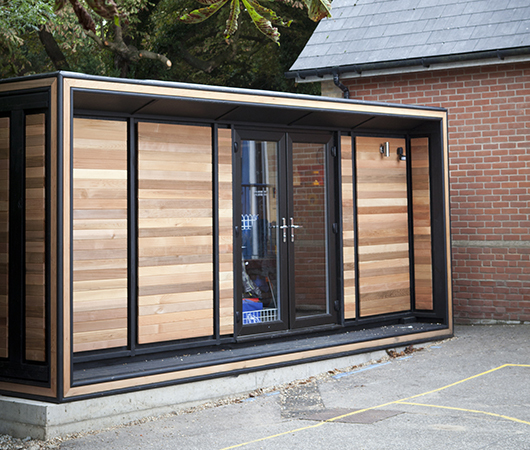 "The team, all of whom have been most pleasant to have around, have now finished and we are absolutely delighted." "It’s a pleasure doing business with people who do what they say, on time, professionally, and with no fuss." 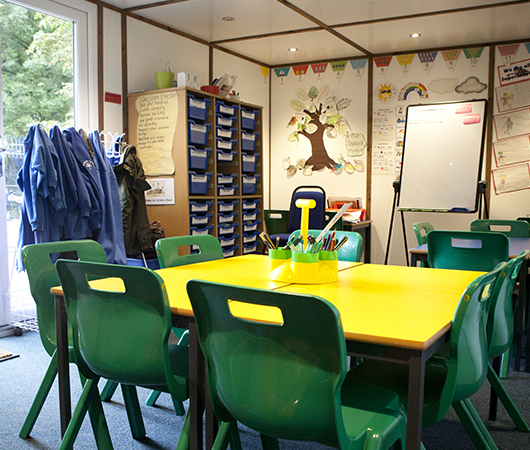 How has your Smart made a difference to your school?